Thomas Anstey Guthrie (1856-1934) was an English novelist and journalist who wrote his comic novels and humorous short stories under the pseudonym F. Anstey. 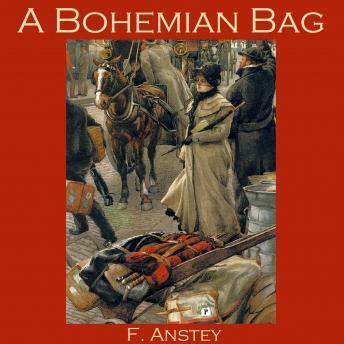 'A Bohemian Bag' is the story of a piece of luggage with a perverse mind of its own. The Gladstone bag in question goes on its own travels every time it is left in the care of a railway porter or station master...usually catching up with its hapless owner only days later.